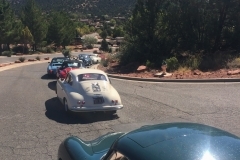 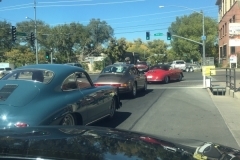 Short video of the 356 parade headed out from the Village of Oak Creek. 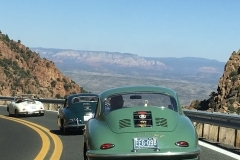 Enjoy a GoPro view of Steve Proctor and David Gill on Lake Mary Rd during the Javelina Tour. 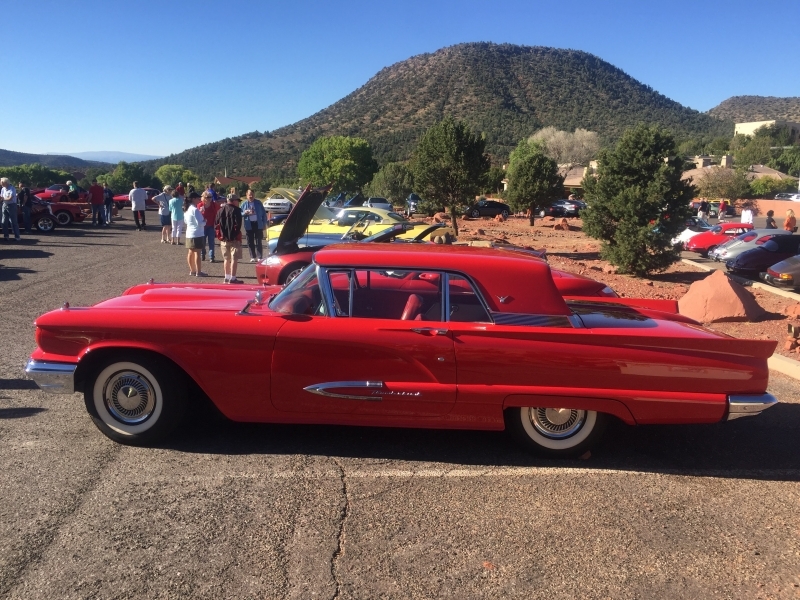 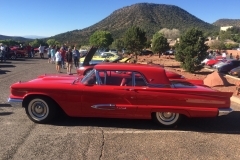 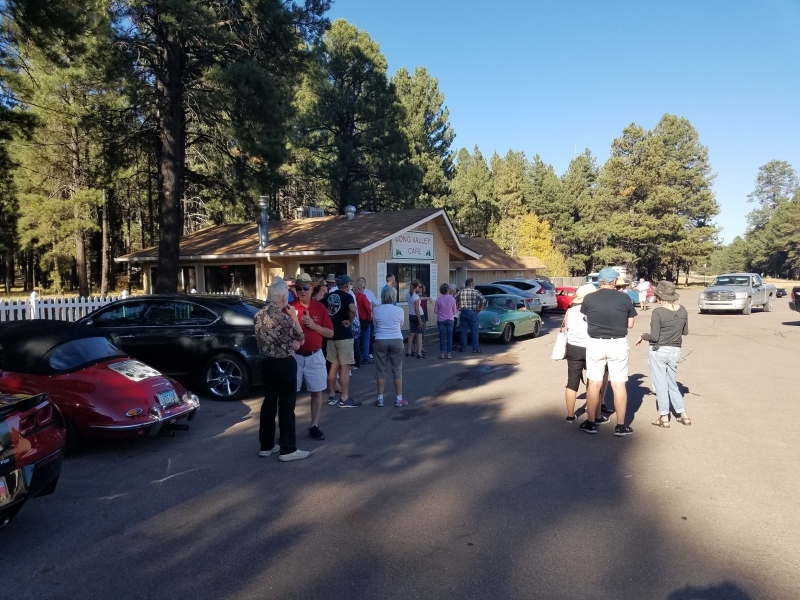 Sedona… were we drawn to it because of its beauty, or because of the magnetic pull of its vortex - we will never know, but Outlaws came together as a group of thirty cars to enjoy our Javelina Tour with folks from all areas of Arizona, New Mexico and California. 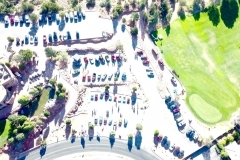 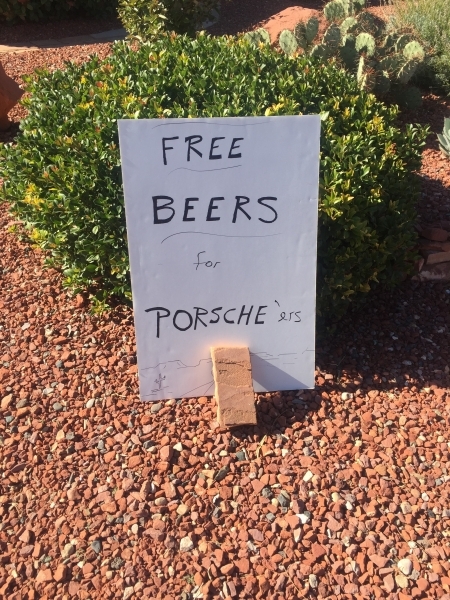 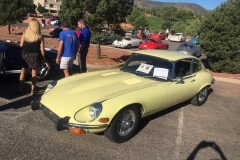 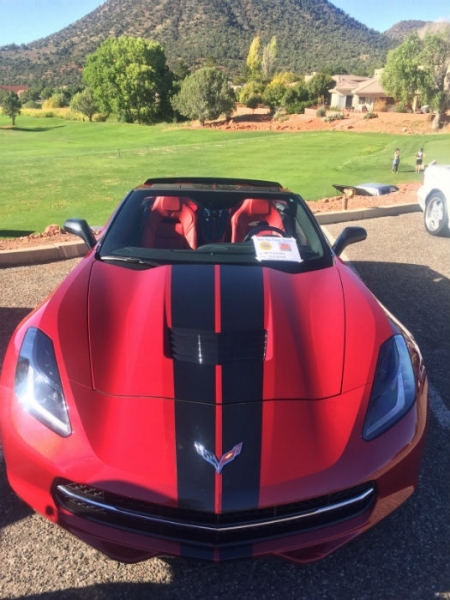 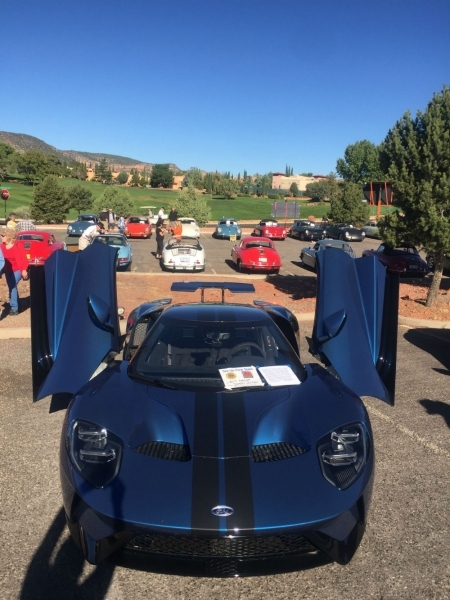 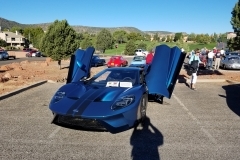 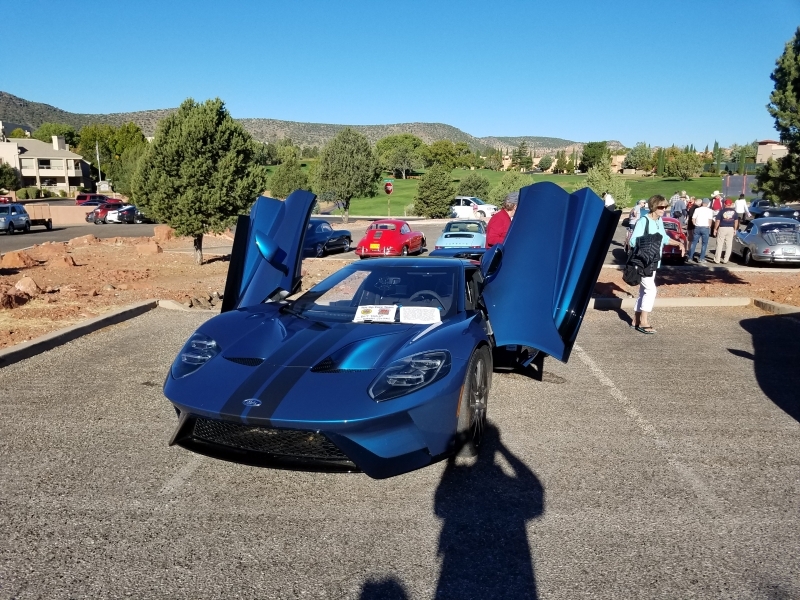 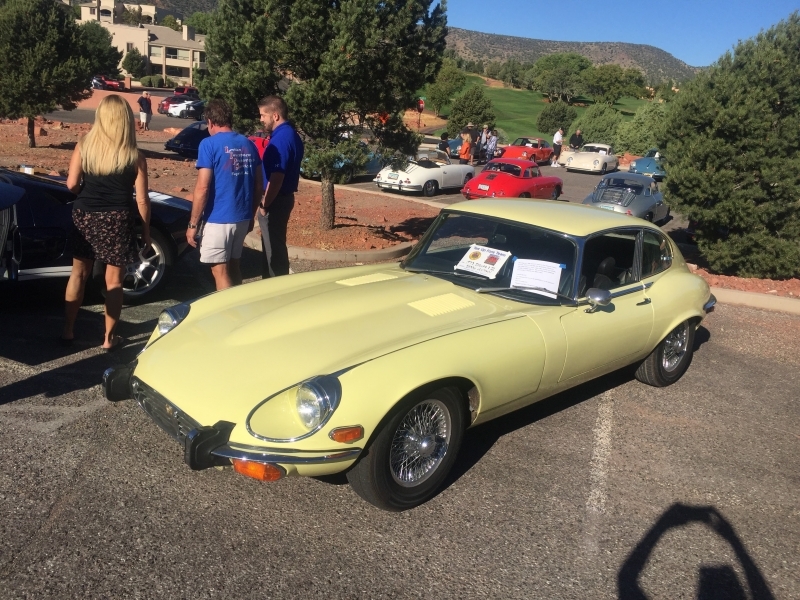 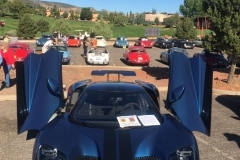 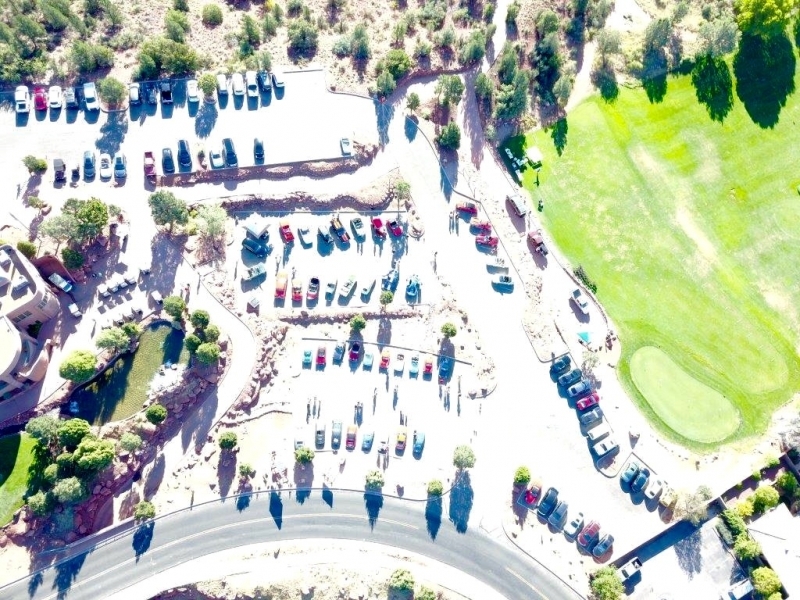 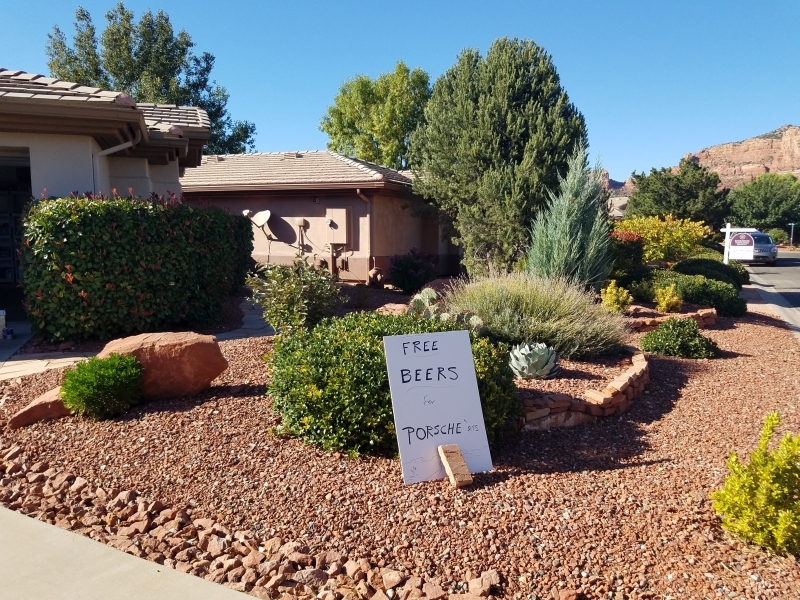 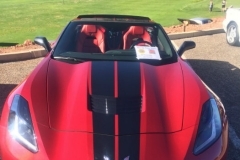 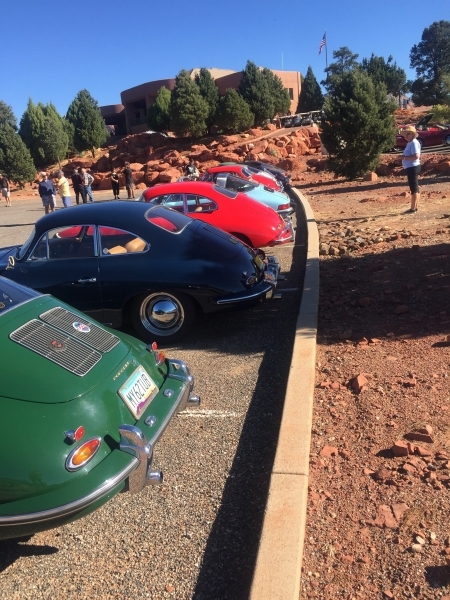 We covered 330 miles of beautiful and twisty northern Arizona roads, and topped it off with some culinary experiences that made this event one for great memories. 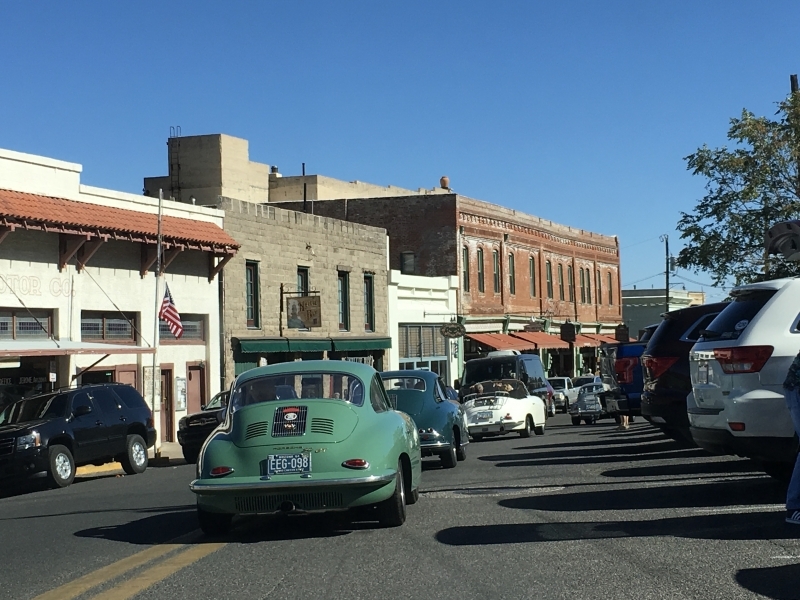 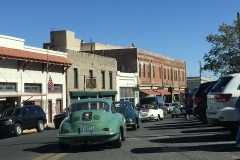 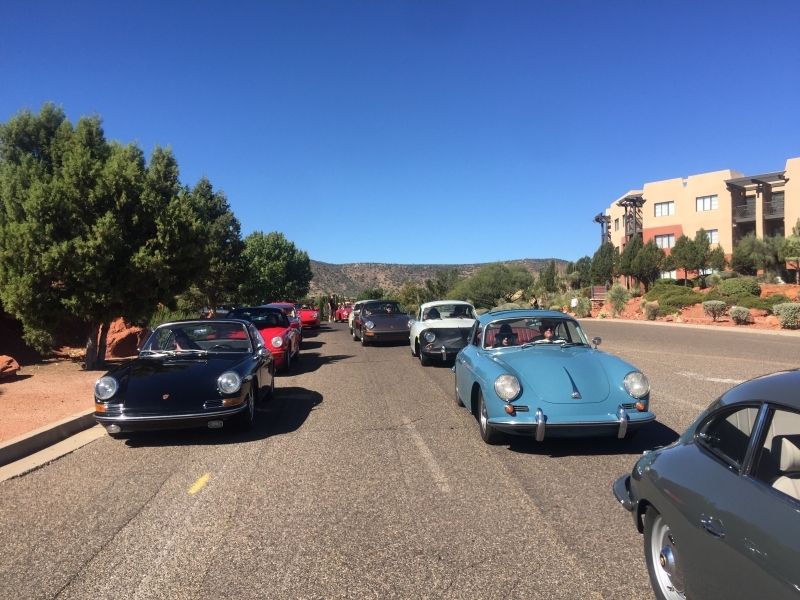 Outlaws began the drive on Friday morning with 18 cars from the Phoenix and Tucson area, driving through Wickenburg, Young, and Congress. 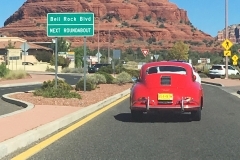 Passing by the Granite Mountain Hotshots Memorial outside of Young was especially note able with the recent release of a movie commemorating those Hot Shots. 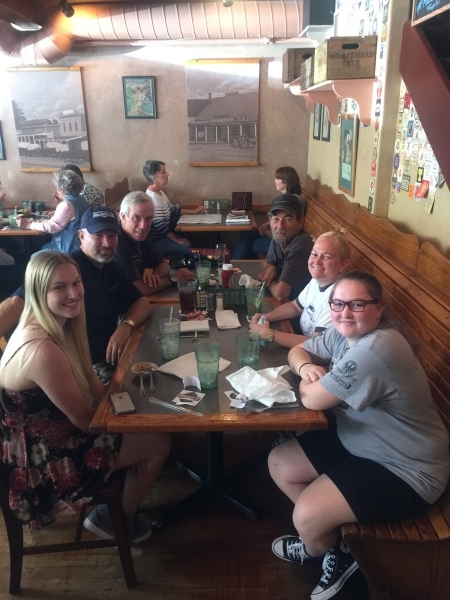 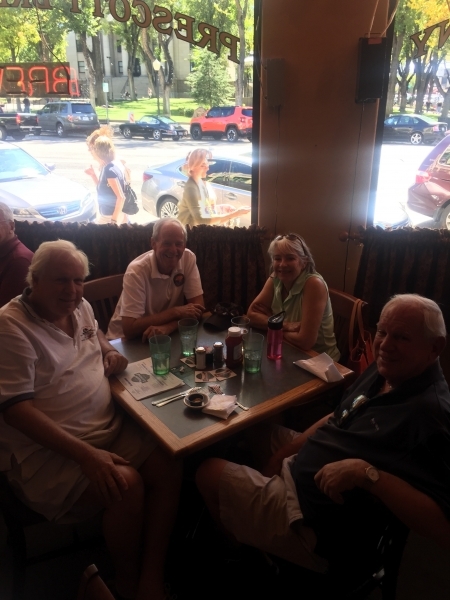 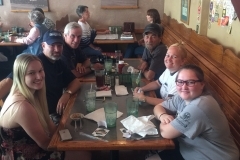 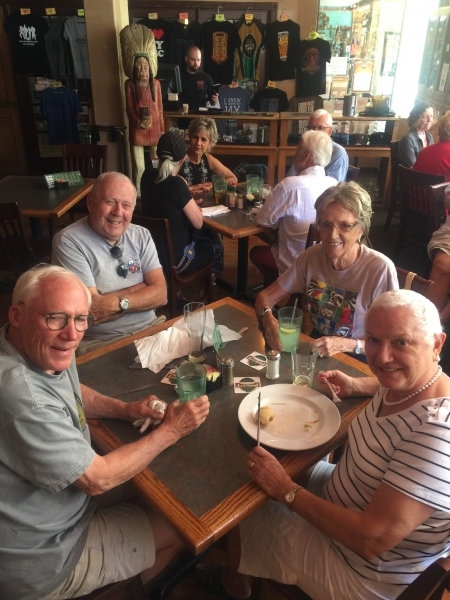 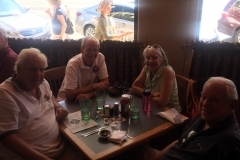 We stopped in Prescott for lunch at the famous Prescott Brewing Company. 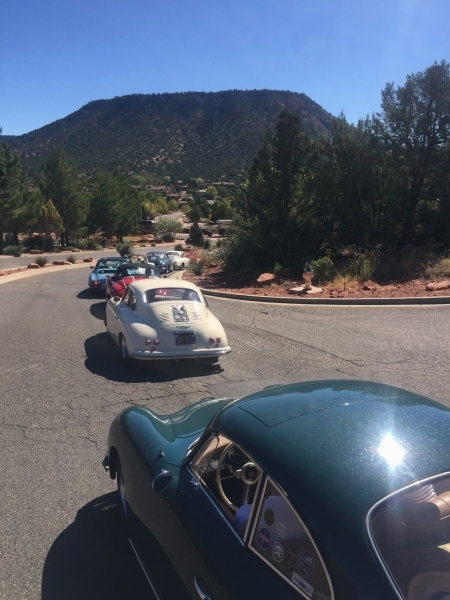 After some chatting with friends and with full stomachs, Outlaws headed up the winding mountainside of Mingus Mountain and then down into Jerome. 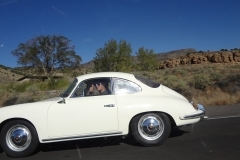 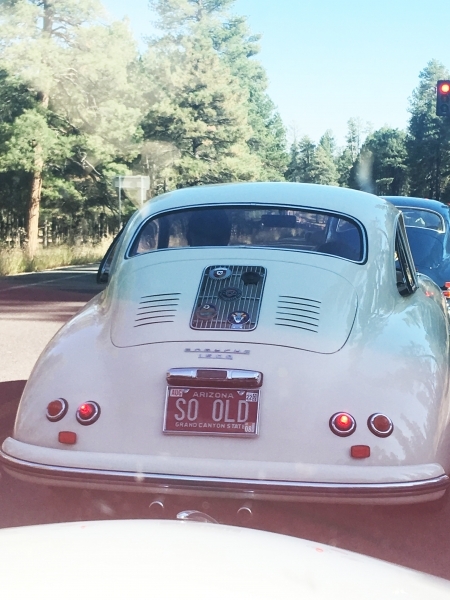 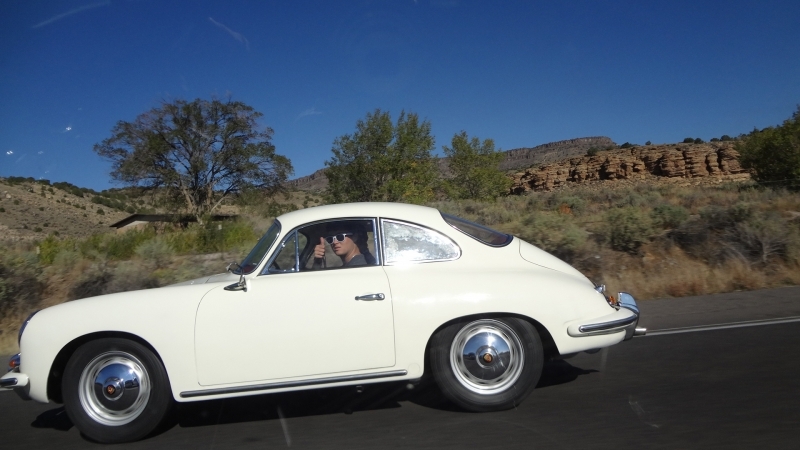 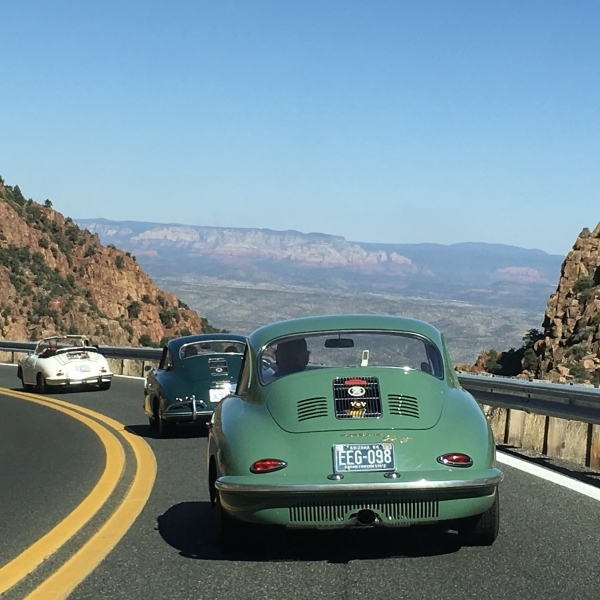 This drive is arguably one of the best 356 drives in the state. 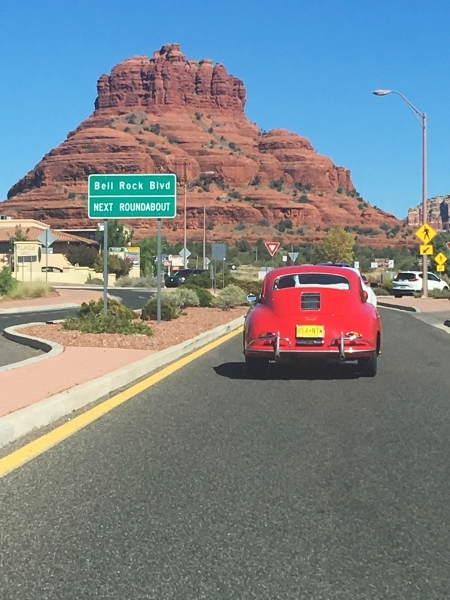 Then travelling onward through Cornville to the beautiful red rocks of Sedona and the Bell Rock Inn and Holiday Inn. 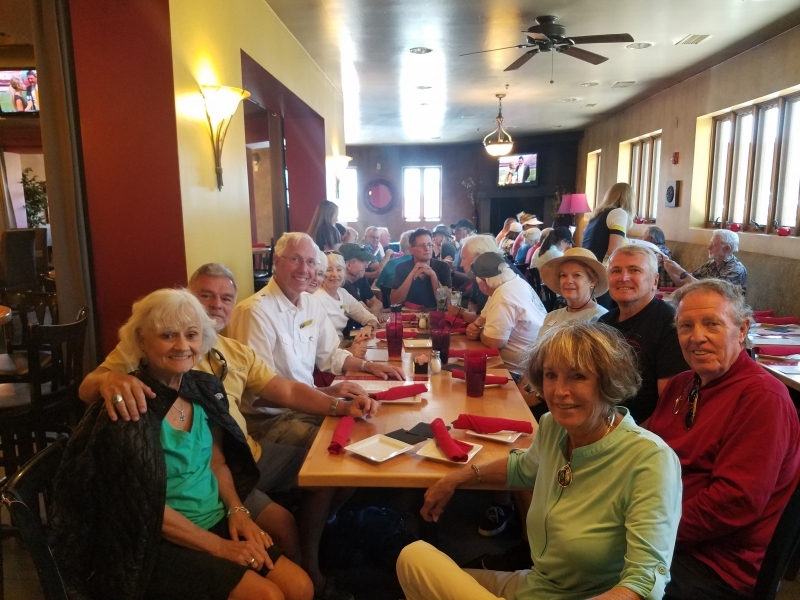 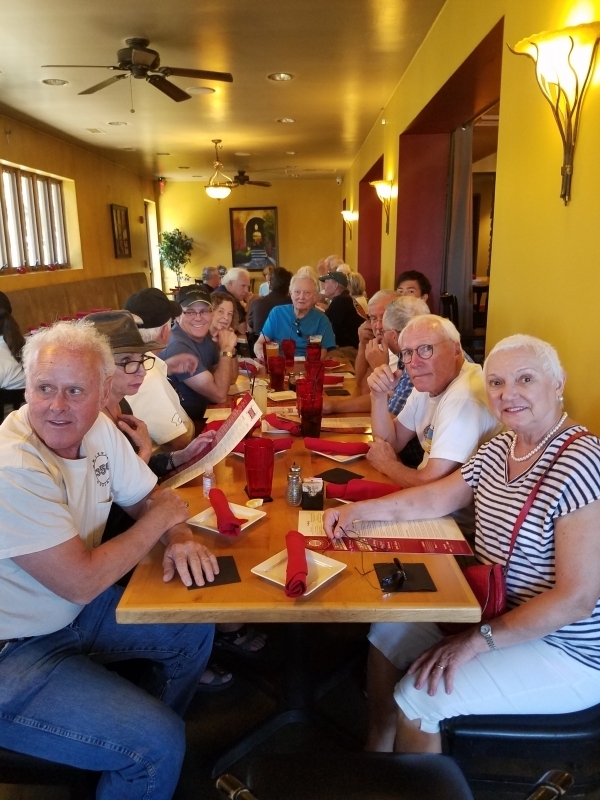 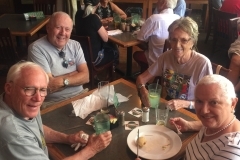 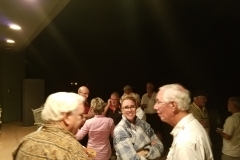 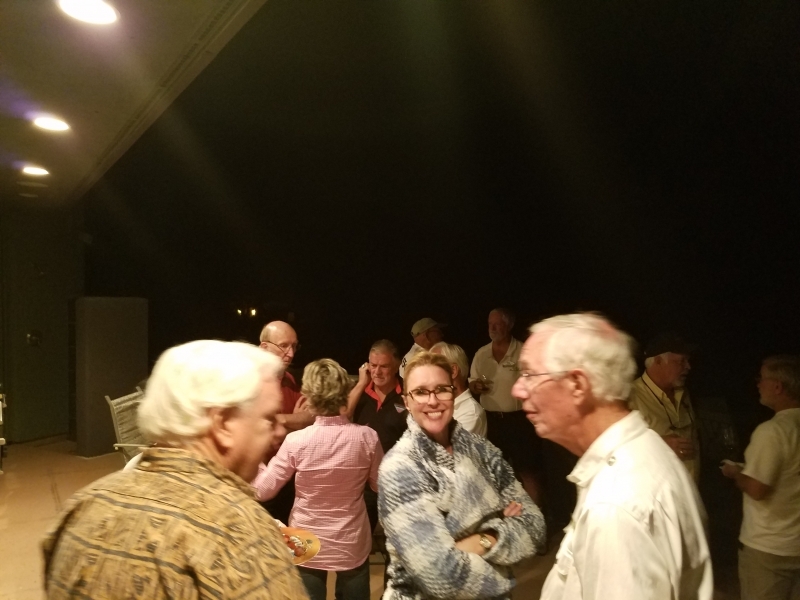 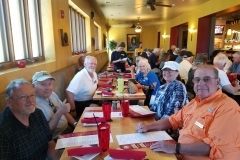 On arrival at the Village of Oak Creek hotels, some of the group gathered at the Bell Rock Inn for the traditional wind-down party, while others attended a charity fundraiser for the local Big Park School. 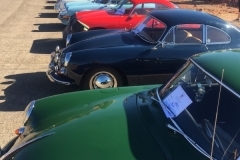 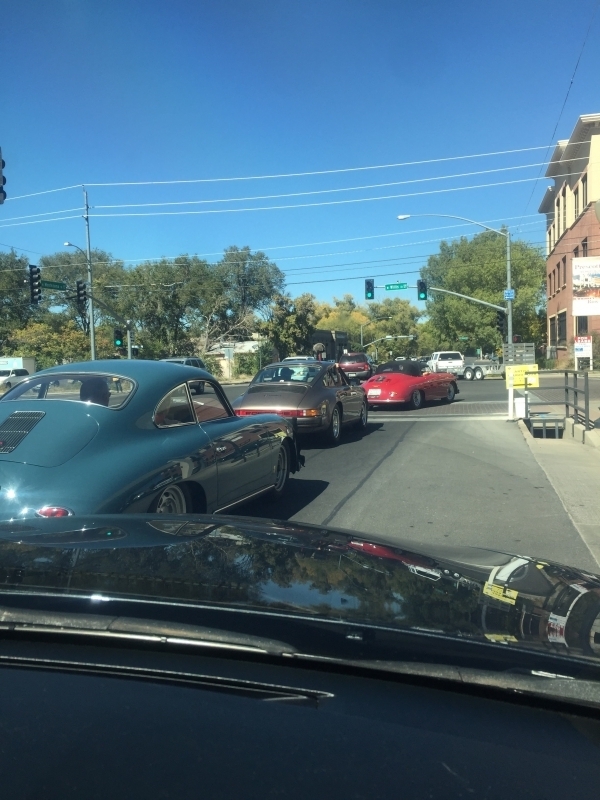 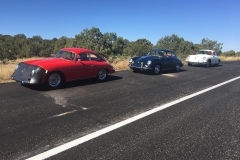 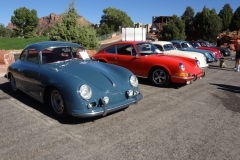 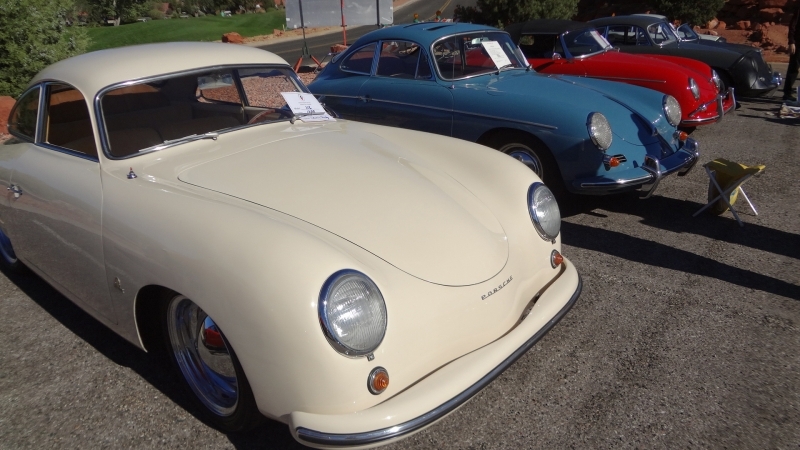 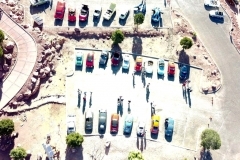 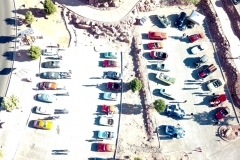 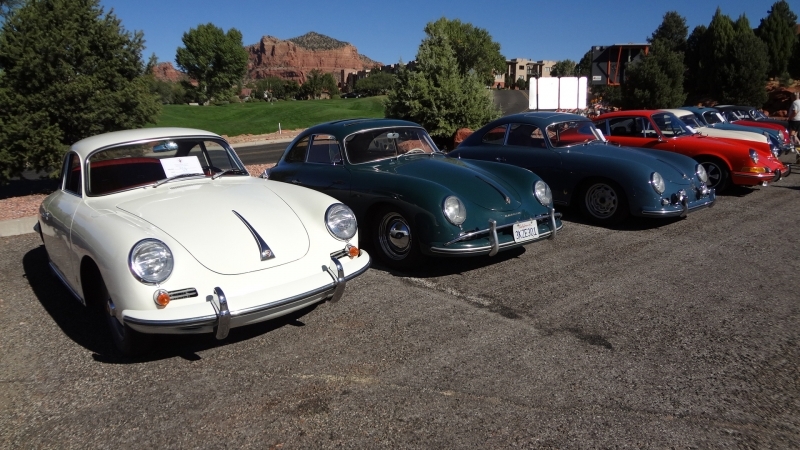 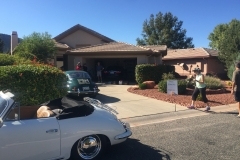 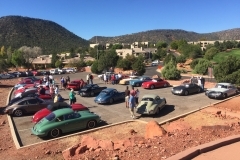 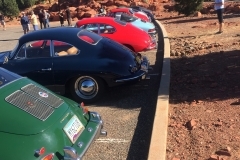 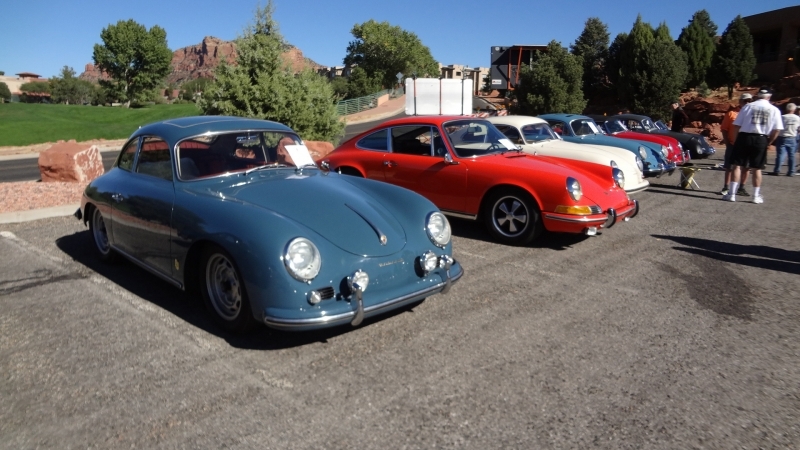 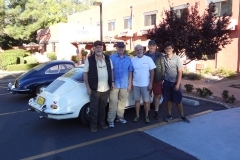 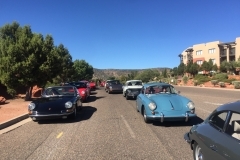 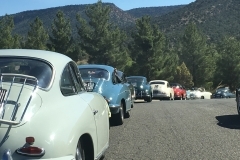 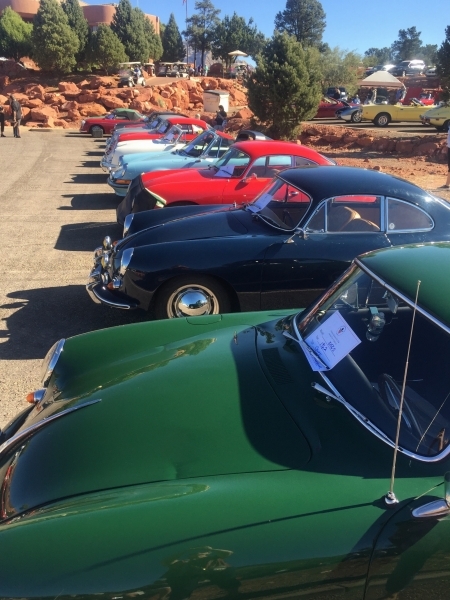 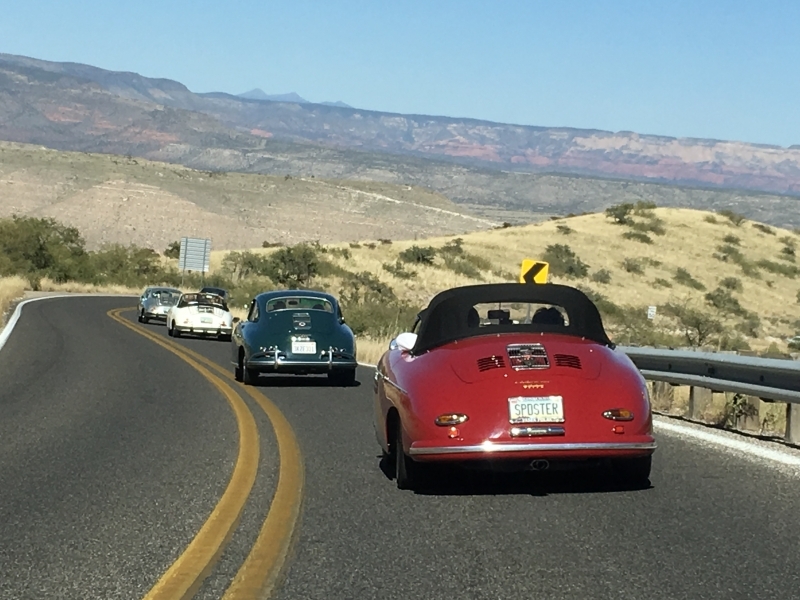 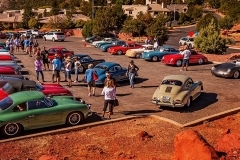 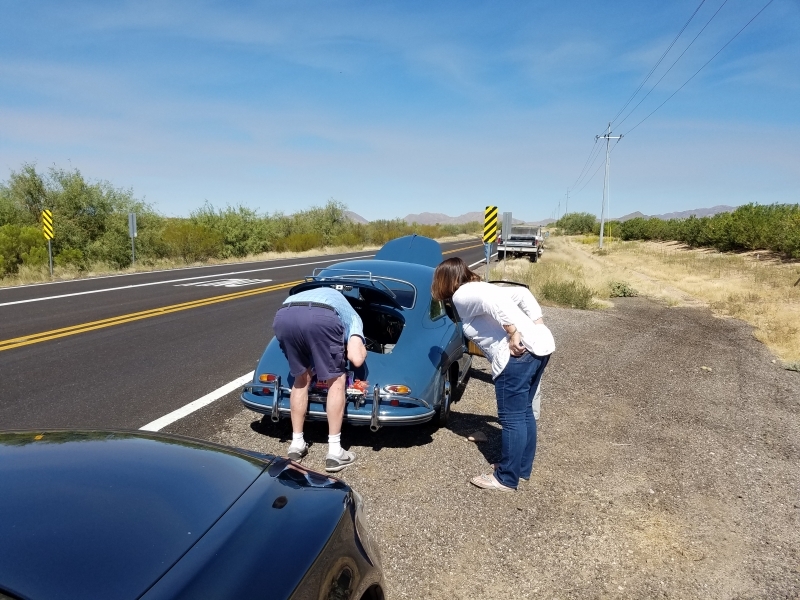 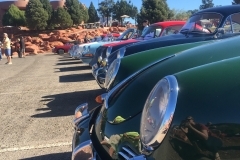 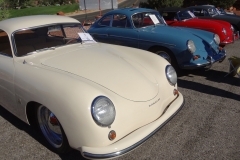 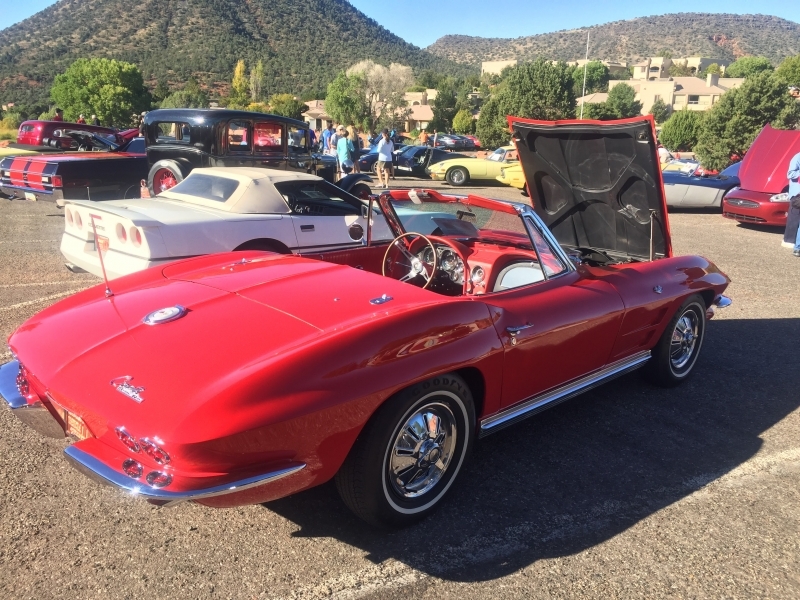 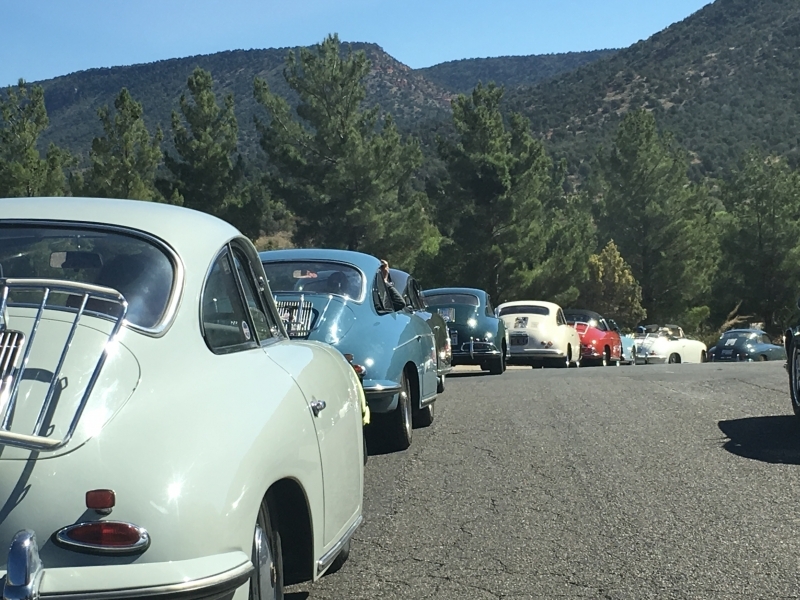 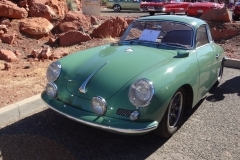 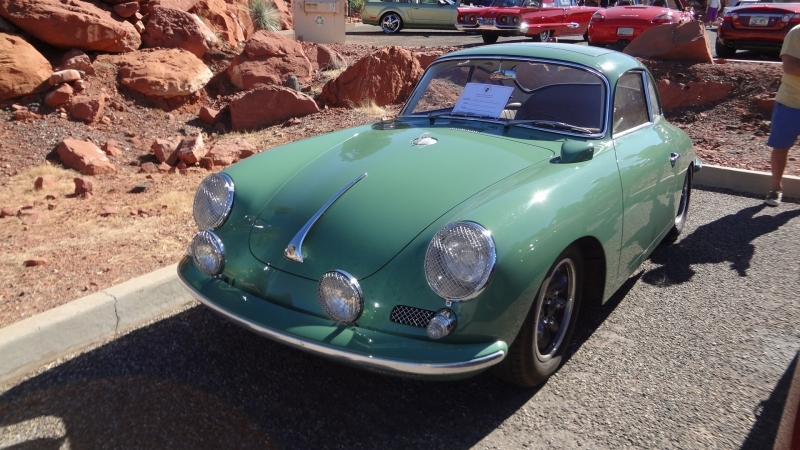 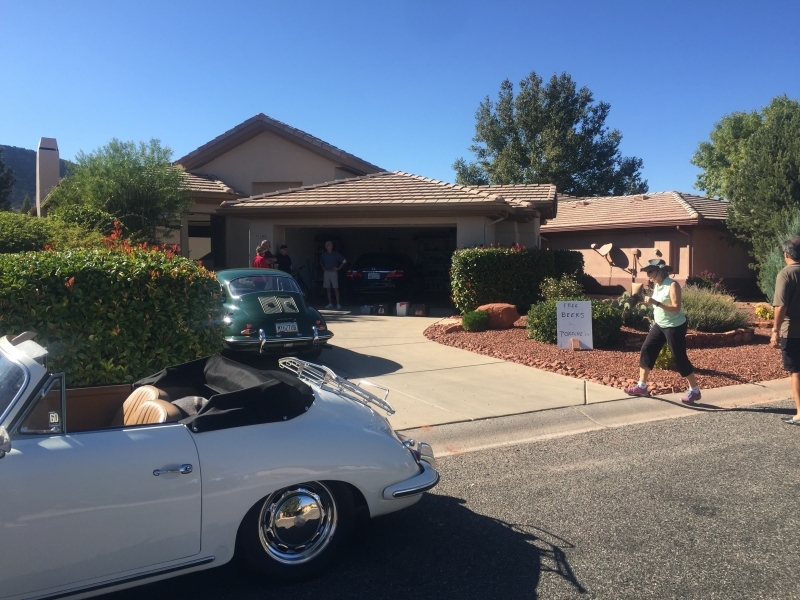 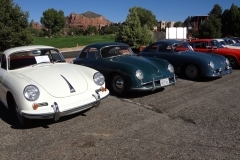 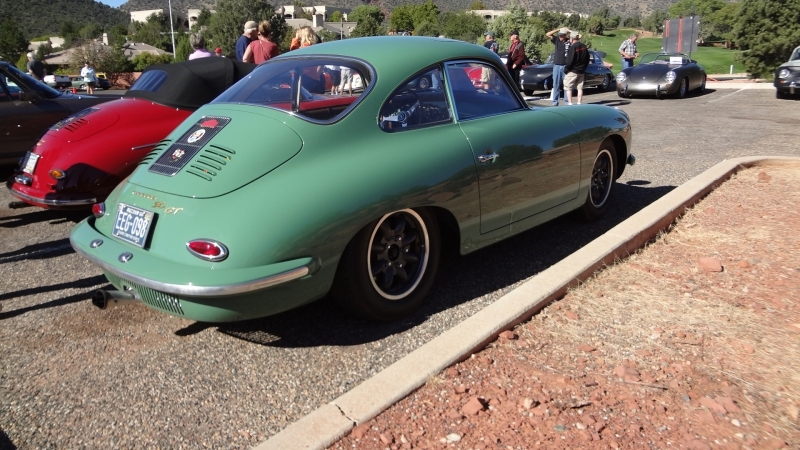 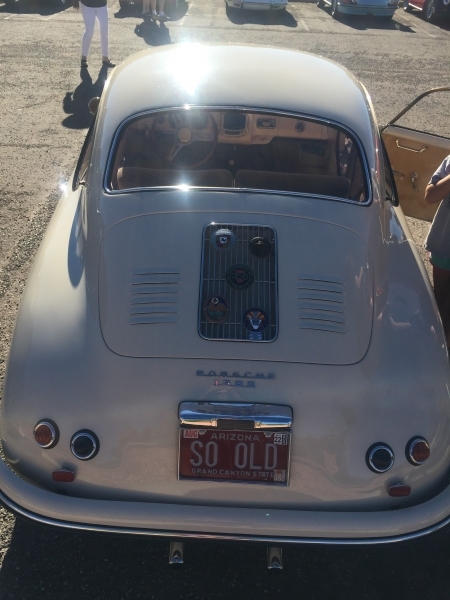 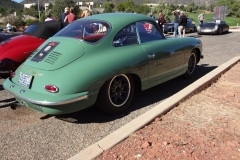 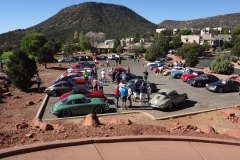 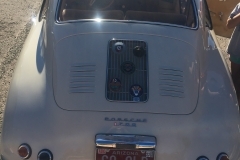 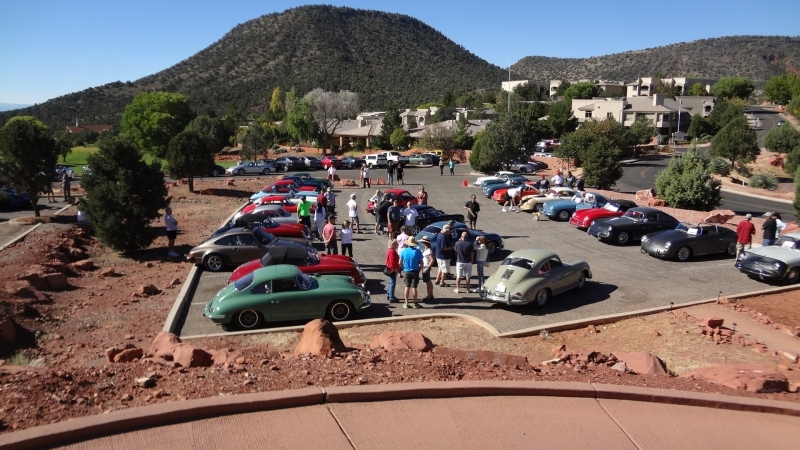 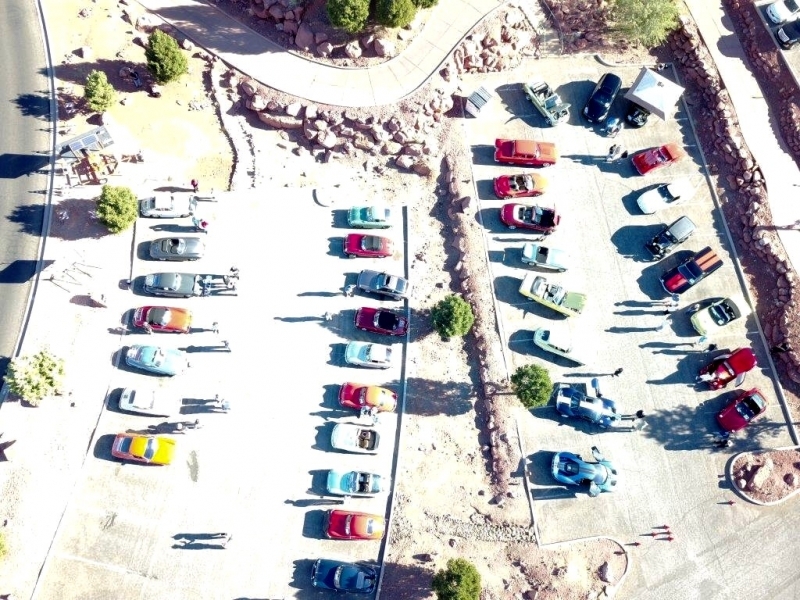 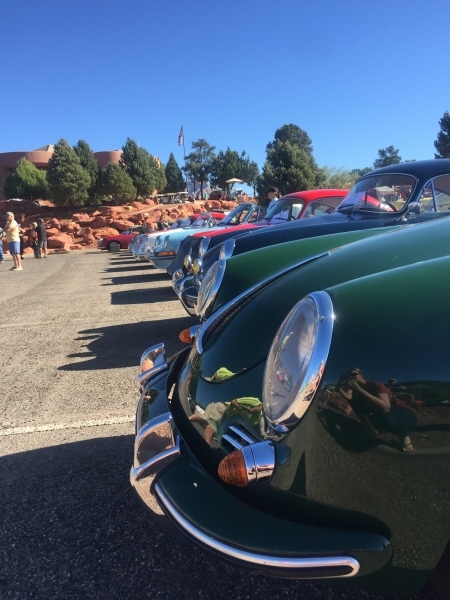 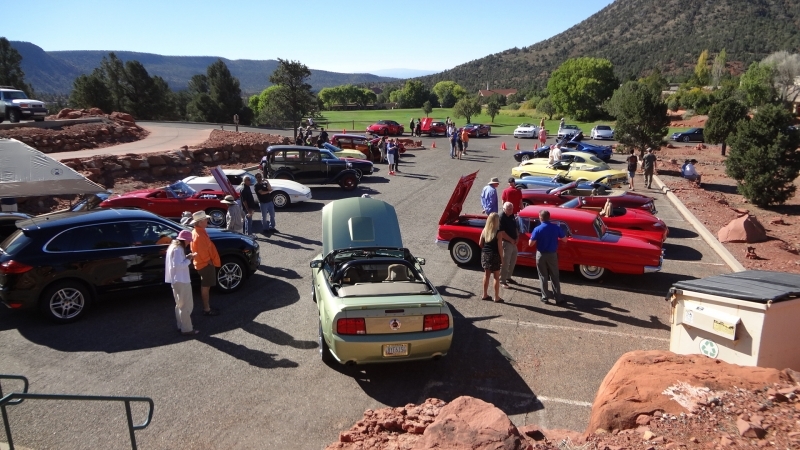 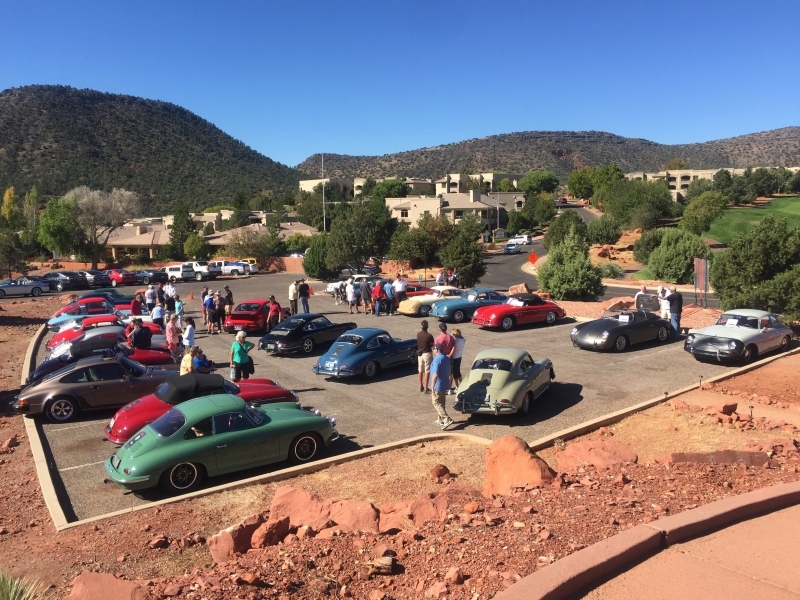 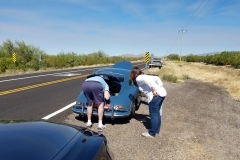 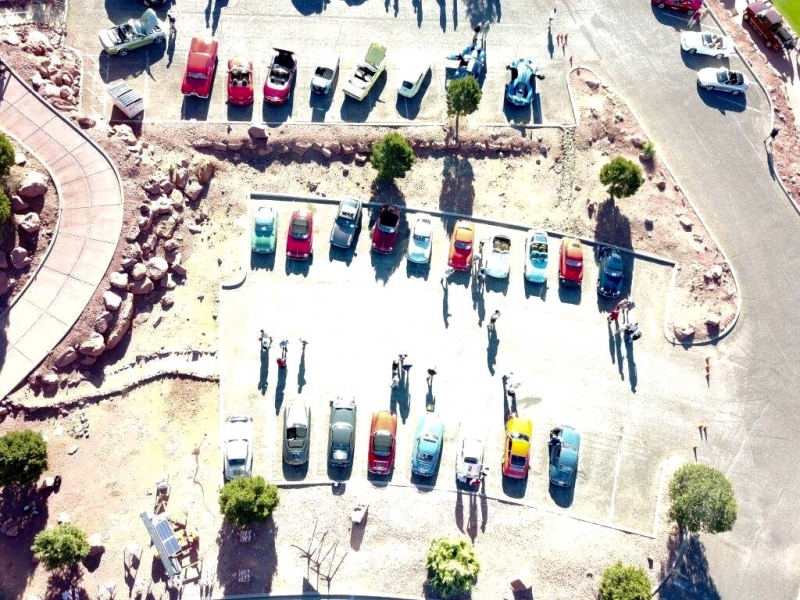 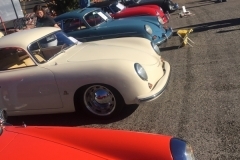 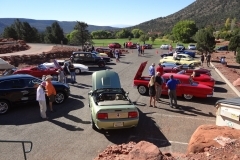 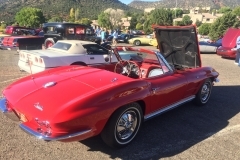 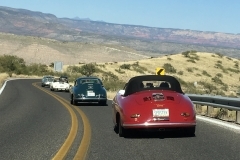 Saturday morning Outlaws gathered early to fill a special area with our beautiful 356 and 911 cars for an informal car show along with the Sedona Car Club at the Big Park charity event. 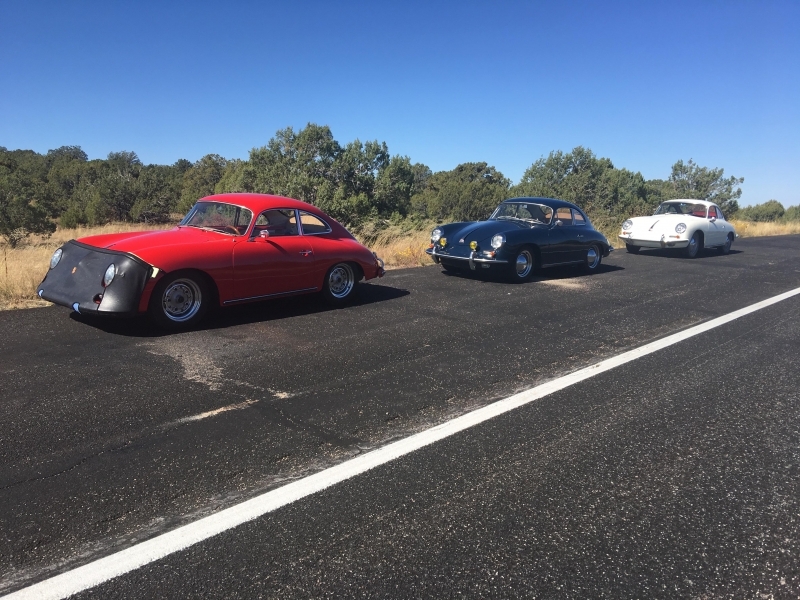 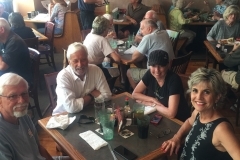 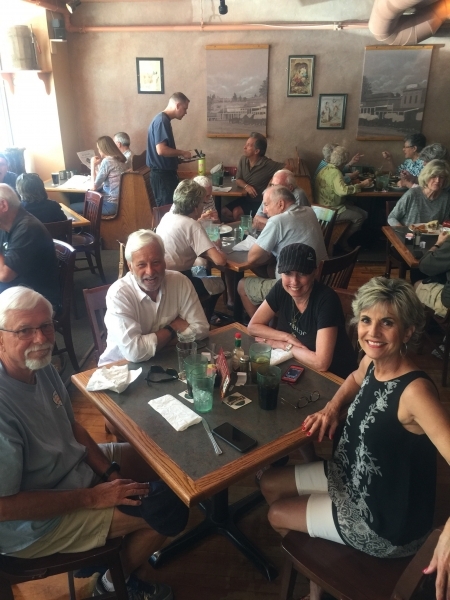 We rolled out after the show through Sedona, Oak Creek canyon and up to visit Flagstaff for lunch at Taverna. 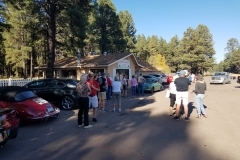 Our drive then took us down a scenic Lake Mary Road winding through the tall pines, eventually stopping in Camp Verde for an early gourmet dinner. 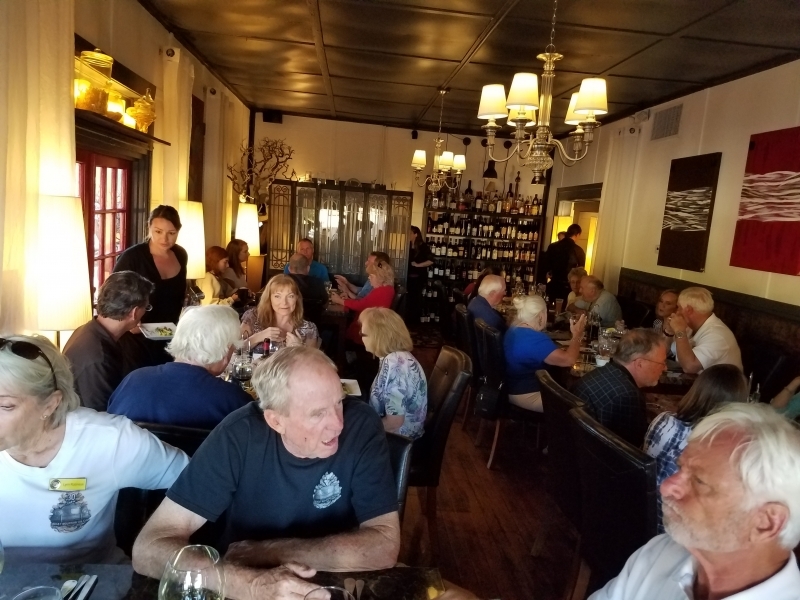 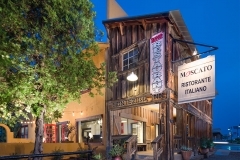 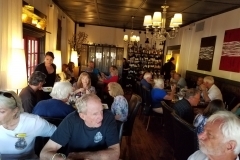 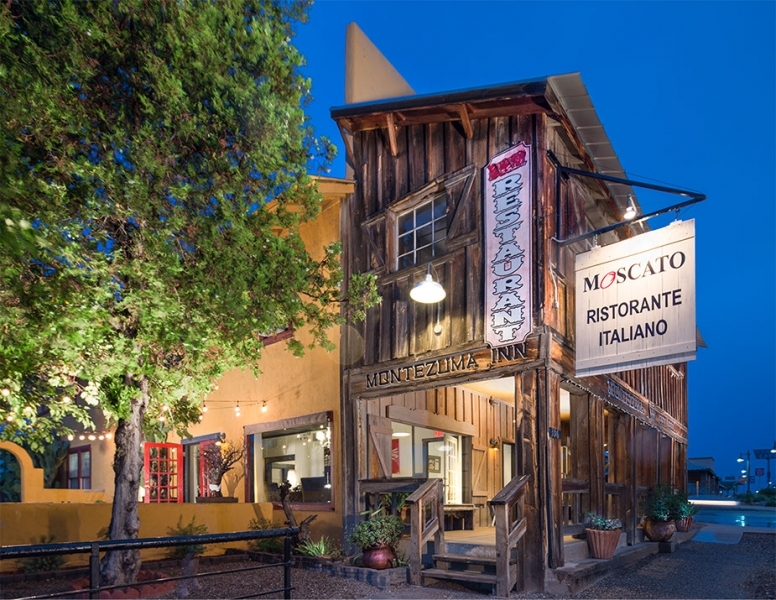 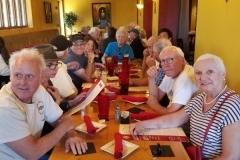 Forty five Outlaws enjoyed this jewel in the desert named Moscato Ristorante Italiano, for a fine Italian dinner. 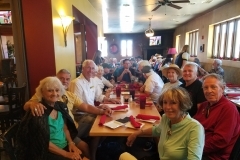 It was another great opportunity to enjoy awesome Outlaws comradery. 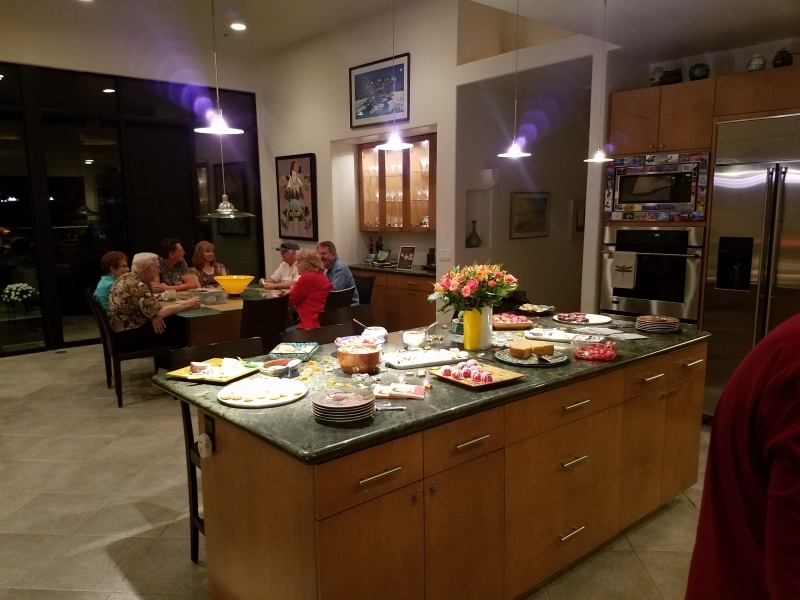 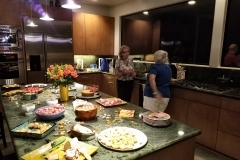 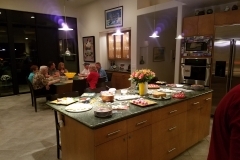 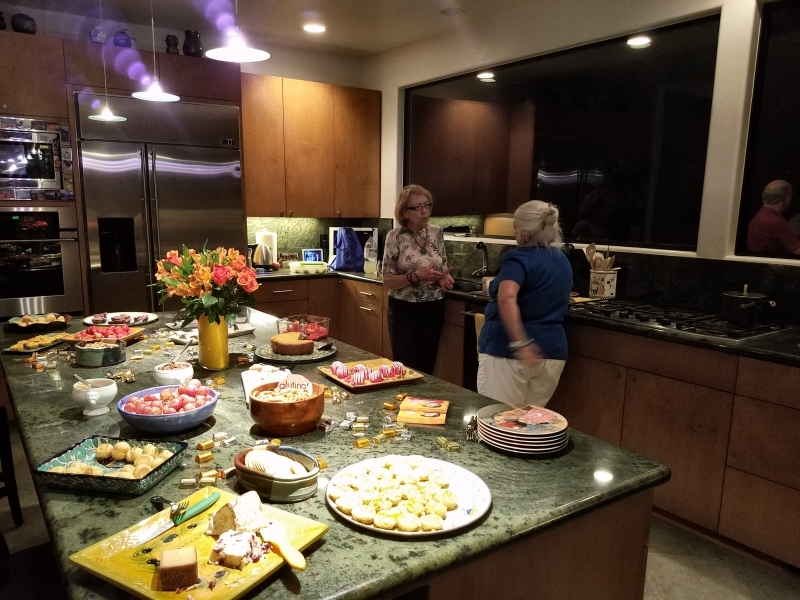 Following dinner, we all headed back to the Village of Oak Creek to be treated to a grand dessert party at the beautiful home of David Gill and Betty Loos. 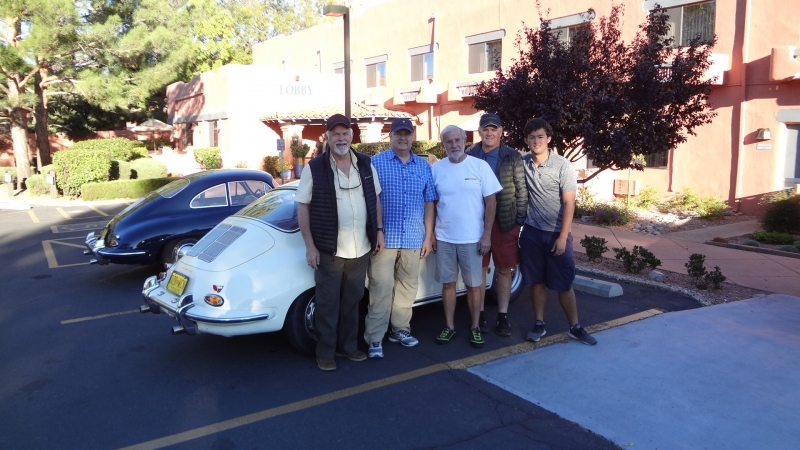 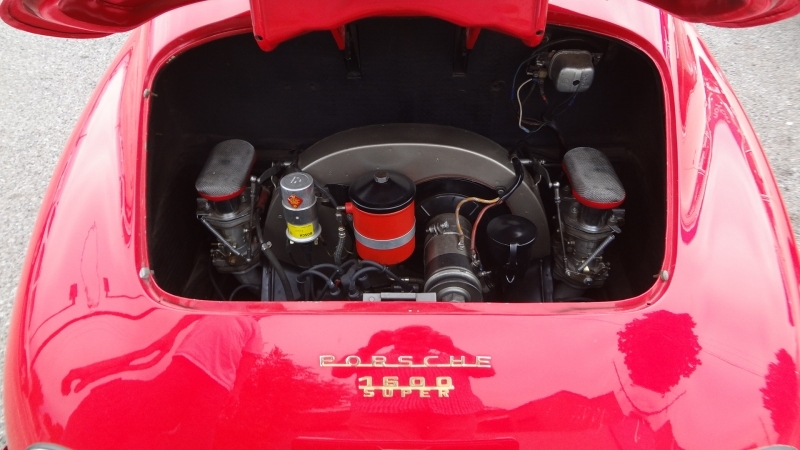 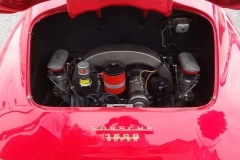 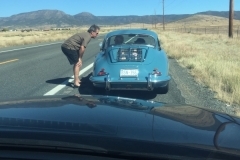 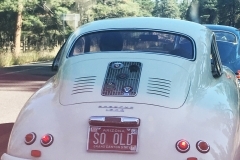 This gave plenty of extra time for Outlaws to visit and talk about the day’s drive and all things 356. 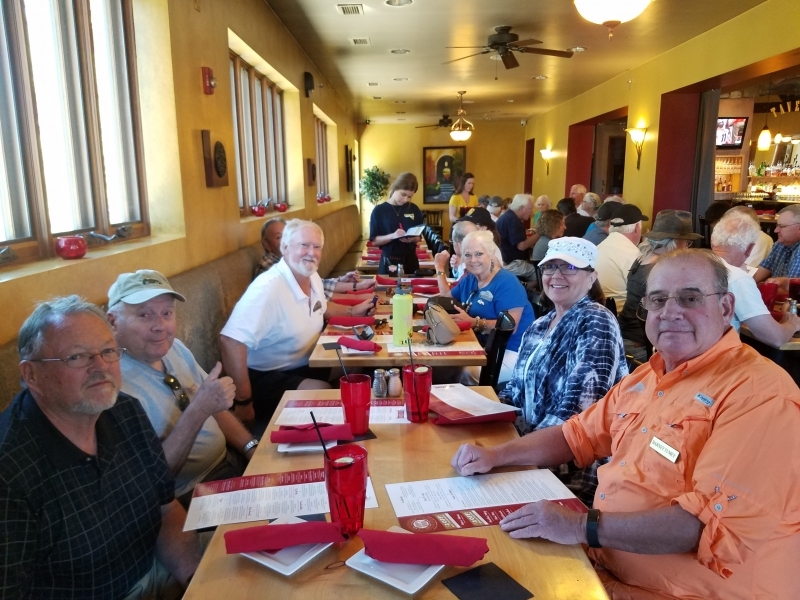 A special group breakfast was set up on Sunday morning for Outlaws who didn’t need an early start. 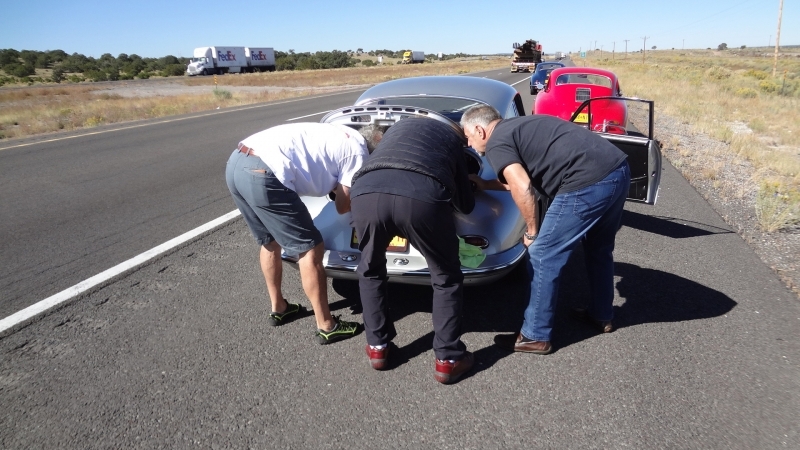 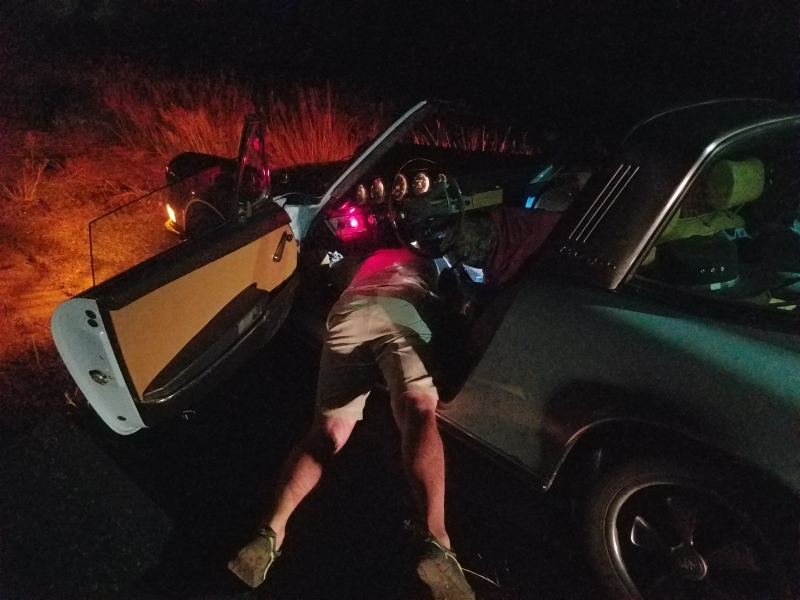 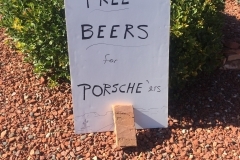 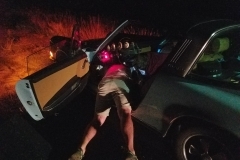 It is always such a relief to have so many great mechanics with their priceless knowledge and skills to help friends with roadside repairs. 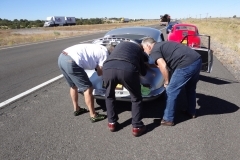 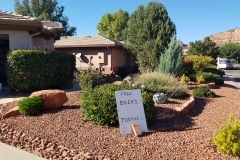 We owe special thanks to Joe Almers from New Mexico for saving the day for a few of our oldies but goodies. 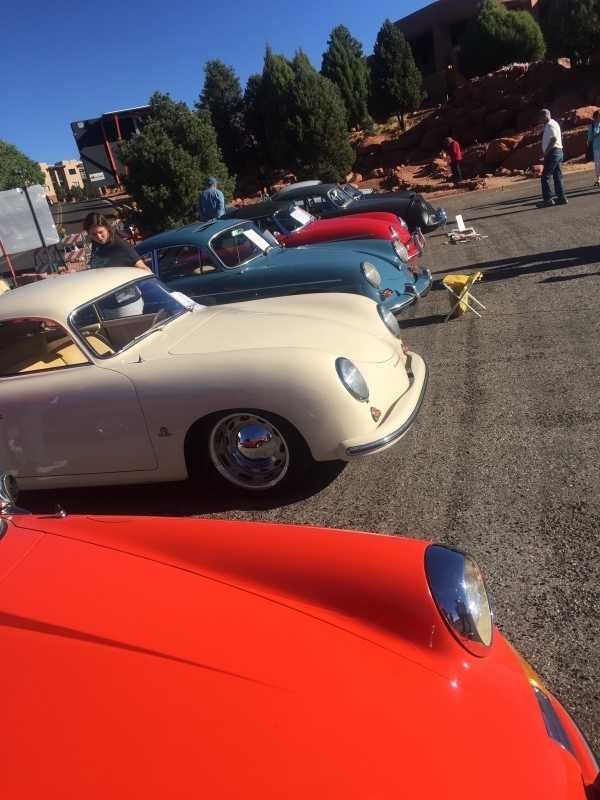 And their cars too! 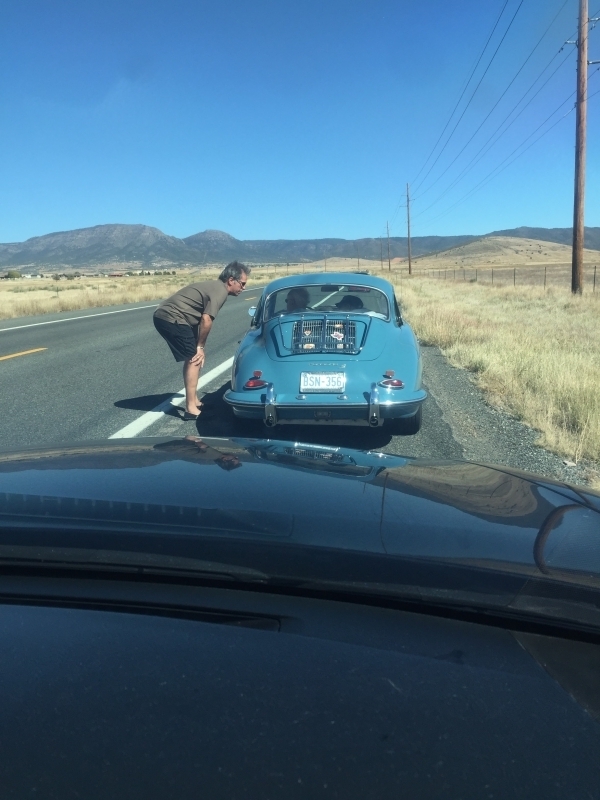 Deciding whether this was trip focused on driving or eating is a debate left open, but both were addressed in a first class way. 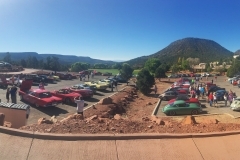 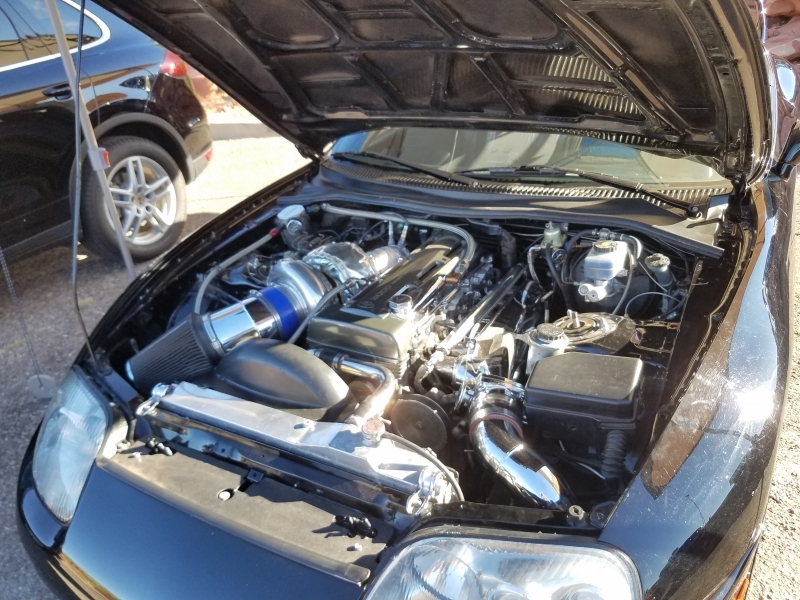 We had the best of everything along with world class scenery, perfect Arizona weather, and a great collection of fifty four Outlaws to share it all with.